The Christian Post - "Pastor Behrouz Sadegh-Khandjani, Mehdi Furutan, Mohammad Beliad, Parviz Khalaj and Nazly Beliad are due to appear before the court in two weeks, according to Christian Solidarity Worldwide. They were first arrested in June last year on charges of apostasy, holding political meetings, and committing blasphemy and crimes against the Islamic Order." Fox News - "A Methodist pastor who voiced support for a book questioning the view of hell as a place of eternal damnation is "shocked" by his church's decision to fire him. Chad Holtz, who served as pastor of the United Methodist church in rural North Carolina, said he hoped his personal belief posted on Facebook would engage -- not anger -- members of his congregation." The Christian Post - "Nearly six in ten white evangelical respondents believe that natural disasters are signs from God, according to the Public Religion Research Institute and Religion News Service news poll. By comparison, only about one-third of Catholics (31 percent) and mainline Protestants (34 percent) believe that natural disasters are signs from God." The Gospel Coalition - "A friend wrote me about how I would respond to the recent New York Times article chronicling the frustration of singles pursing pastoral positions. I probably came to his mind because I am both single and a pastor." Good morning. Another Sunday! Another week has passed by. It does not seem like Spring has understood that we expected it to show up during the week. On rupeba.se we have also this week published articles about the Emerging Church. More will come next week. During the week I received the weekly e-mail from a church in Sweden presenting its program. This week they offered "Test Yoga". Another church invites to "hypnosis". When I read things like this a get the impression that the Church has lost confidence in its own message. They seem to think that there is no attraction in the Gospel and because of that they want to make people come to Church by offering totally different programs than what really should be the contribution of the Church to our generation: Salvation, new birth, forgiveness and new power through the Holy Spirit. No wonder so many Church seats are empty in the Church. Who wants to come to a Church that no longer believes in its own message? During the week we have also been a tour to Stockholm for some meetings with people. We even got time to hug our second youngest granddaughter. She had celebrated her second birthday since we saw her last time. Our youngest son, father of our second youngest granddaughter, was filming an interview in his house during our visit. It was a former alcoholic who has been saved. The interview will be shown today at the main Pentecostal Church in Stockholm and I will also post it on rupeba.se next week (In Swedish unfortunately). This is something different than "Test Yoga". This is the real thing for the Christian Church: To help people to receive Salvation! Now it is Sunday morning and we are back home in Riga. Today we will have the Sunday Meeting in Bauska. Then it is time for a new week. The last week of March. Spring must be round the corner! Harry and Barbara Brocksiek are retired Salvation Army officers from the Central Territory in the USA. They have also served at the Eastern European Training College in Finland. It was December 2007, we were heading down Ute Pass to I 25 north out of Colorado Springs on our way to the Intermountain divisional staff Christmas party. As pastoral care officers for the division we were invited to the dinner theater event. Snow had not started to fall as we left home (8500’) but it began as we ascended the 7100’ hump at Monument. Predictions were for 2 1/2 feet. Barbara and I were looking forward to being with the enjoyable staff and the dinner theater. The program was to be ‘Forever Plaid,’ a delightful 50s musical of 4 high school guys on their way to their “big musical break” when they were “killed by a bus load of virgins” (Catholic high school girls). Miraculously all these years later, due to some time warp, they were being allowed to do this ‘special’ concert before going on to their eternal reward. We had seen this play 9 times at the Stepenwolf in Chicago because we could get in free if we had white shirt, black tie, dark trousers/slacks, black socks/shoes and if we would usher. Barbara and I had gone ourselves but we also invited friends to go with us since all our friends had the proper attire. As we reminisced we remembered the time we took Barry and Sue Swanson with us. During the play the actors always look for someone in the audience to participate in the program – we knew that, although they never chose an usher, they were going to choose Sue. The actors got more than they bargained for. Sue was delightful, stole the show and was the hero even after the performance. Now we were looking forward to another rendition of ‘Forever Plaid.’ The dinner was good. The performance was by a local dentist, teacher, social worker and small business man. We understood why they kept their day jobs. The next day we were heading to Salt Lake City (535 miles) to host the divisional retired officer’s party for that section of the division. It was still snowing as we headed west out of Denver and further up in the mountains, after all Denver is only a mile high. The snow was reaching its 29 inches as we crawled up the mountains toward the Eisenhower tunnel (11,000’). Semis fully chained were chunking up the mountain. We had chains but did not put them on but at times wished we did as the crawl of traffic halted and the tires wanted to spin as we inched forward. Entering the tunnel we wondered how long it would take us to get to Salt Lake. Coming out of the 2 mile tunnel the sun was shining making sunglasses necessary, down the other side of the mountain the snow was cleared and by the time we got to Vail we were at 75 mph and enjoying the freshness of 29 inches of pristine snow flocking the trees and recreating the mountains. The party with the ROs in SLC was a pleasure, the food better than two nights ago at the theatre. We then headed north along the mountains to the very old town of Butte, MT (416 miles) where we met with the Advisory Board in the basement of the corps building which was still an imposing two story, history filled building, built like a rock, with seemingly a thousand stairs and the chapel left as when General Booth visited it (though he did not do so). Its mauve carpet and bolted down chairs cowered under the pictures of both William and Catherine staring down from the front was inspiring. The weather was still great as we headed east in Montana to Bozeman and on to Billings before heading south past Custer’s last stand to Sheridan, along the Big Horn mountains through Casper to Cheyenne visiting the officers and praying with each endeavoring to encourage them until we came almost full circle to Broomfield, CO (769 miles) where Captains Tom and Laura Felton are the Cos. When Barbara and I are in the car together she reads to me from some book she has selected for us (probably some special message she wants me to get.) This is a wonderful way for two introverts to communicate. She reads, we comment on what is read, we are enriched and connect with each other in interesting, sometimes challenging and sometimes funny ways - it works very well for us. The book she had selected this time was by Ken Gire. Ken lives in that Colorado hump we call Monument not far from our house. He lives with his back against the Rocky mts and reports finding inspiration out his back door as he hikes further up into the Rockies. This book, The Weathering Grace of God, is very much a product of his hiking in the Rockies. It is a delightful read, particularly as we travel through the mts, of how at some time in the history of earth there were great upheavals about 100 miles west of the Kansas border. These upheavals formed the peaks of the Rocky mts and further west the plateau of the western Rockies then further peaks as you go further west. Gire’s book talks about these upheavals as compared to the upheavals in our lives then proceeds to remind us that, if we let God, He will ‘weather away' to create beauty out of our upheavals. We and others will be able to enjoy the weathered beauty of our lives just as we now enjoy the weathered beauty of the Rocky Mountains. We were meeting with Captains Tom and Laura sharing our discoveries in the book and other things. Tom is one of those people who, when you go to encourage, you get more than you give. It reminds me of Elisha wanting a double blessing from Elijah and getting it. Tom is dying of a disease that you get from drinking heavily but Tom says, “I got the disease but did not get the fun of drinking.” Tom was at one time a standup comedian. He was a successful business man. Now he is extremely happy to be a SA officer. The skits he does at divisional Bible camp are funny and he has the rare ability to make you laugh uncontrollably while punching you in the gut with the theology of the moment - much like Jesus with some of His parables. As we left Tom and Laura, totally uplifted and encouraged ourselves – Tom allows no pity or sorrow in his presence - I began to think of the weathering grace of God. Tom and all the theology Salvationists believe do not believe God caused Tom’s disease. Disease is not in God’s gifts to His children. Disease comes from a fallen world but God is with us as we face the disease. Tom’s testimony of God’s work in him is like getting a refreshing shower on a beastly hot summer day or like entering a warm cozy house with the fire blazing and a cup of hot chocolate steaming by a comfortable chair. Christianity today - "He can't be both a Christian and a Muslim," said Bishop George Wayne Smith of the Episcopal Diocese of Missouri. "If he chooses to practice as Muslim, then he would, by default, give up his Christian identity and priesthood in the church." Christian Post - "For the last twenty years or so, a movement identified as emerging or emergent Christianity has done its determined best to avoid speaking with specificity. Leading figures in the movement have offered trenchant criticisms of mainstream evangelicalism. Most pointedly, they have accused evangelical Christianity, variously, as being excessively concerned with doctrine, culturally tone-deaf, overly propositional, unnecessarily offensive, aesthetically malnourished, and basically uncool." TSA international web page - "General Shaw Clifton has approved the official commencement of Salvation Army work in Togo, effective 1 April 2011. With this new opening The Salvation Army is now at work officially in 124 countries." YouTube - "Rob Bell gives his own version about what he believes on Universalism"
I have already written about the Emerging Church view on the Bible. The approach to the Bible within EC is more like Liberal Theology. Of course this way of looking at the Bible will have consequencies for the message from the Emerging Church. Rob Bell can use a Bible text and let it say somthing quite different to what the text really says. I saw a YouTube-film where Rob Bell is teaching about Peter walking on water (Mt 14:28-33). Rob Bell says: "I always assumed that Peter doubted Jesus. But Jesus is not sinking. Peter doubted himself." "Lord, if it's you, Peter replied, tell me to come to you on the water", and it is about having faith in the words of Jesus, "Come!" Is is about having faith in what God says that makes Peter take the step. Perhaps you think that this is a mistake often made by many preacher. That you, without thinking to much, by accident use a scripture to say what you want it to say, rather than what it really says. But in Rob Bell´s video it is not by accident. It is planned to be presented to a larger audience by making film of it. This is not a mistake. This is what really Rob Bell wants to say. And the message is not about putting faith in God but in yourself. This is not the message we normally read in the Bibel, is it? I thought spring was here. But yesterday when I woke up everything was white and it was snowing heavily. But I am still hoping. Our accountant has said that spring will arrive on Monday, and he is normally right about the weather. Last Sunday we experienced the spiritual spring breaking through in several persons. We had a meeting in a corps in a little village. In the end of the meeting the corps leader asked everybody who wanted to be saved that day to stay after the meeting. She promised that we should pray for each of them individually. Four persons lined up. They waited a long time until the people had been dismissed. And then we prayed for them. Two men and two women. One of the ladies was the Corps Leader´s old school teacher. Four people saved. Great joy in heaven and on earth. During the week it has also been a lot of debates about Rob Bell´s new book "Love wins". Rob Bell is one of the most influental leaders in the Emerging Church. I have posted some critical articles articles about Rob Bell and Emerging Church. If you have not read them, they are still there. Some more articles will follow during the coming week. "We believe that the Scriptures of the Old and New Testaments were given by inspiration of God; and that they only constitute the Divine rule of Christian faith and practice." Otherwise the week has been calm. We have had time to be in the office doing things that must be done. Today it is Sunday and today we will spend the day in Riga. It is soon time to go down to the meeting at Riga first corps. By the way, today is a special day. Our second youngest grandchild will become two years old today, far away in Sweden. The Emerging Church Movement often ends up with opinions which differs very much from traditional mainstream Christianity. How come that EC (Emerging Church) has such different views on sin, forgiveness, salvation and many other fundemental Christian beliefs. "I am astonished that you are so quickly deserting the one who called you by the grace of Christ and are turning to a different gospel—which is really no gospel at all. Evidently some people are throwing you into confusion and are trying to pervert the gospel of Christ. But even if we or an angel from heaven should preach a gospel other than the one we preached to you, let that person be under God's curse! (Gal 1:6-8). I believe that the main reason why EC ends up with different interpretations is that they do not see the Bible as a divine guideline for life. If you have no anchor then the wind will bring you any place. They often refer to a new freedom in EC. And, of course, when you are no longer limited by what the Bible says, then you are free to think whatever you want and go wherever you want. "The Bible is not considered an accurate, absolute, authoritative, or authoritarian source but a book to be experienced and one experience can be as valid as any other can. Experience, dialogue, feelings, and conversations are equated with Scripture while certitude, authority, and doctrine are to be eschewed! No doctrines are to be absolute and truth or doctrine must be considered only with personal experiences, traditions, historical perspectives, etc. The Bible is not an answer book. (Brian, McLaren, A New Kind of Christianity, p. 52.)" "We affirm the divine inspiration, truthfulness and authority of both Old and New Testament Scriptures in their entirety as the only written word of God, without error in all that it affirms, and the only infallible rule of faith and practice. We also affirm the power of God's word to accomplish his purpose of salvation." So it all sums up to our view on the Bible. Is it God´s word to us or is it an unreliable human product? "Emergent Church leaders ask the same question Satan asked in the Garden, “Hath God said?” They have no confidence in the Word so they have no compass, chart, or anchor." Rob Bell´s book "Love wins" has been released this week. The book obviously confirms what many evengelical Christians have been aware of for a long time. Bell is preaching a "different gospel" (Gal 1:6-9). ChristianityToday - "The controversial pastor raises crucial questions, but offers answers that may sabotage his goals." "Unfortunately, beyond this, there are dozens of problems with Love Wins. The theology is heterodox. The history is inaccurate. The impact on souls is devastating. And the use of Scripture is indefensible. Worst of all, Love Wins demeans the cross and misrepresents God’s character." WorldNetDaily - "LaHaye caught in tsunami watch in Hawaii while preparing for prophecy conference"
Methodist Thinker - "Whatever the natural cause of earthquakes may be, sin is the moral cause. This cannot be denied by any who believe the Scriptures." Onenewsnow.com / Persecution - "Christians in the Jima province in western Ethiopia are seeing their region ravaged by Islamic extremists who have killed one Christian, burned down dozens of churches, a Bible school and an orphanage, and destroyed 50 homes belonging to believers." Now you can get the feeling. Winter has to give up. There will be a new spring. We have not seen it yet, but we can see the signs. The snow starts to melt. Spring rain and spring winds. After spring comes summer. That is the time when we take our beach towels and go to the beach. (The picture is from a Family camp some year ago. We have not start looking for our beach towels yet this year. But we have start dreaming about it). In the beginning of the week we met our "Strategy Board" and shared with each other our expectaions and what we have "heard" from the Lord about this year. 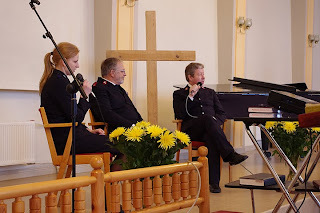 I have for some time sensed that this year will be a victorious year for the Salvation Army in Latvia. Last year was a year when many people took a step forward with the Lord. We enrolled many new soldiers, we welcomed eight new cadets to our School for Officers Training. But these were people we already had among us. This year new people will be saved. But I have also understood that we will meet new challenges and problems this year. That is part of the battle. Today 4 people have accepted Christ as their savior. Tomorrow we start a new Alpha Course. That is part of the battle. In the end of the week we received visitors from Norway. The Training Principle and a cadet came to Riga to plan the family camp this summer in Latvia. The Norwegian cadets will run the camp together with our cadets. Saturday we brought our guests to the meeting at Riga 2 and then we went inspecting the camp site. ...and the Corps Leader´s message was about never, never, never giving up. Now it is Sunday morning and we will have an early start together with our guests from Norway. We shall drive to Liepa, hundred kilometers northeast of Riga, for the Sunday morning meeting. Mornings come early in Liepa, they start their service already 10.00. William Booth: We are a salvation people! WE BELIEVE IN SALVATION. We believe in the old fashioned salvation …Ours is just the same salvation taught in the Bible, proclaimed by Prophets and Apostles …sealed by the blood of martyrs - the very same salvation that was purchased by the sufferings and agony and blood of the Son of God. General Elect Commissioner Linda Bond from WallFly on Vimeo. ITALIAN authorities have asked The Salvation Army to arrange for its Atena Lucana Centre to be used as a temporary home for refugees from northern Africa fleeing the turmoil in Tunisia and Libya. Lieut-Colonel Daniel Naud, Officer Commanding of The Salvation Army's work in Italy, reports that he agreed to have the centre prepared and that within the next few days it will be ready to accommodate at least 50 people. There is a great battle raging for the souls of mankind, and as Christ’s return draws nearer, we see this battle intensifying. As never before, the church must be ready for the days ahead, armed with the truth of God’s living Word. Today, I want to share with you a vision God recently gave me of pulpits shaking. The good news is we believe this shaking we are about to speak of is all a part of God’s preparation. He is preparing His Church for a greater work in the earth, and everything not grounded in the truth of God’s Word must be stripped away. This shaking is something to rejoice in, knowing that God is at work in us all, preparing us as vessels to do greater works in the earth, for His Kingdom and glory. "A mob of nearly four thousand Muslims has attacked Coptic homes this evening in the village of Soul, Atfif in Helwan Governorate, 30 kilometers from Cairo, and torched the Church of St. Mina and St. George. There are conflicting reports about the whereabouts of the Church pastor Father Yosha and three deacons who were at church; some say they died in the fire and some say they are being held captive by the Muslims inside the church". "It’s official: Britain is no longer a Christian nation. In banning Eunice and Owen Johns, a devout Christian couple, from fostering children, Lord Justice Munby and Mr Justice Beatson declared that we live in a secular state, and that the Johns’ religious convictions disqualified them from raising citizens of that state." "One famous Reformed theologian simply tweeted, "Farewell, Rob Bell." One does not imagine that he had kicked Bell out of the Reformed theology club. Bell hasn't been considered a member in good standing for some time. Now, the tweet implies, Bell is no longer evangelical, or orthodox, or maybe even Christian." My personal weekly review from my point of view. Last week ended with the welcome meeting of Marie Willermark and a trip to Daugavpils for the Sunday morning meeting together with Marie and Johnny Kleman. 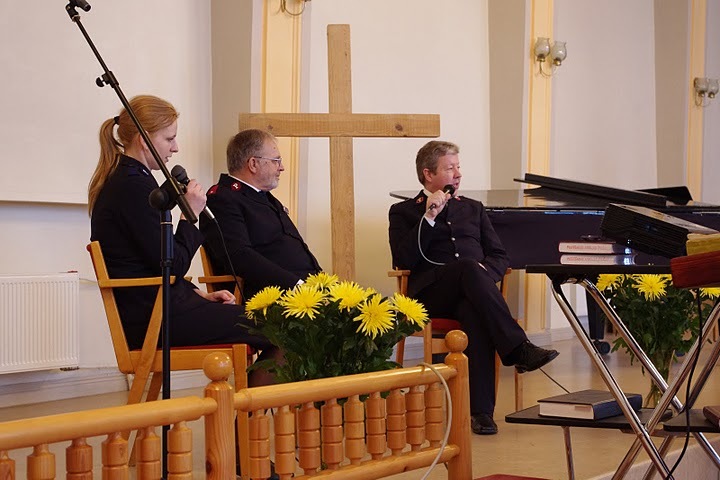 This week started by introducing Marie and Johnny to some of the Salvation Army operations in Latvia. We started Monday morning by visiting the village of Sarkani where we are building the Chilmdren´s House right now. It is an old house we bought from money from a donation, given for this purpose. Here is the entrance to the house the way it looks today. The house is part of our "Change a Village"-project. The people in the village lives in cold apartment houses which uses to be used by Sovjet Army staff during the Sovjet time. Most of the houses lack water and sewerage, toilets, heating and they are full of mould. Most of the parents have big alcohol problems and the children are very much left alone, or have to act as parents for their own parents. In the "Children´s House" there will be warm and cosy. Showers, laundry machines and computers. There will also be meetings, Bible studies and a programme dealing with addictions. Inside the house the work is proceeding very well. Outside the house we have been drilling for water 110 meter deep. After coffe and information about Sarkani in one of the apartments we have renovated we went on to Skangale for information about the orphanage and the Crisis Center at Skangale. After Skangale we drove to the corps in Liepa, a village where the Salvation Army has had corps work in more than fifteen years. Marie received a wooden candle-holder from the corps-leader, who is a gifted carpenter. The last visit for that day was in the new Social Center i Riga. Here you can see the two officers telling about the new sewing machines which will be used to help the poor families to fix their clothes. On Tuesday Marie and Johnny participated in our monthly Leader´s day. They were interviewed about their lives and about themselves. Saturday Ruth and myself went to the funeral of one of our faithful leaders. 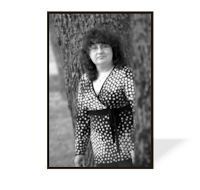 Lelda, the leader of the orphange at Skangale has been working for the Salvation Army for many years. We will really miss her and her love and ministry for so many children over the years. We are praying for Lelda´s family, and at the same time we will be praying for you and we wish you a blessed week. Now it is Sunday morning and it is soon time to go down to the service at Riga 1. It was a long time ago we were in Riga a Sunday. It will be good to see everybody in our home corps. "In a landmark judgment, which will have a serious impact on the future of fostering and adoption in the UK, the High Court has suggested that Christians with traditional views on sexual ethics are unsuitable as foster carers, and that homosexual ‘rights’ trump freedom of conscience in the UK." It's Time to 'Go Beyond'! I am calling you from beyond! You have been held in a place that I am calling you from. I am beyond where you are now. Come from where you are to beyond! Come from where you are to beyond! Come from where you are to beyond! For I am marshalling My army and I am calling you forth. I am causing you to be raised up. I am calling even the dry bones to come together this season. I am calling together and raising up this mighty army. You will go forth in My name. You will see kingdoms brought down. You will see kingdoms raised up. This is the season and the hour that I am marshalling My army.